Oops! 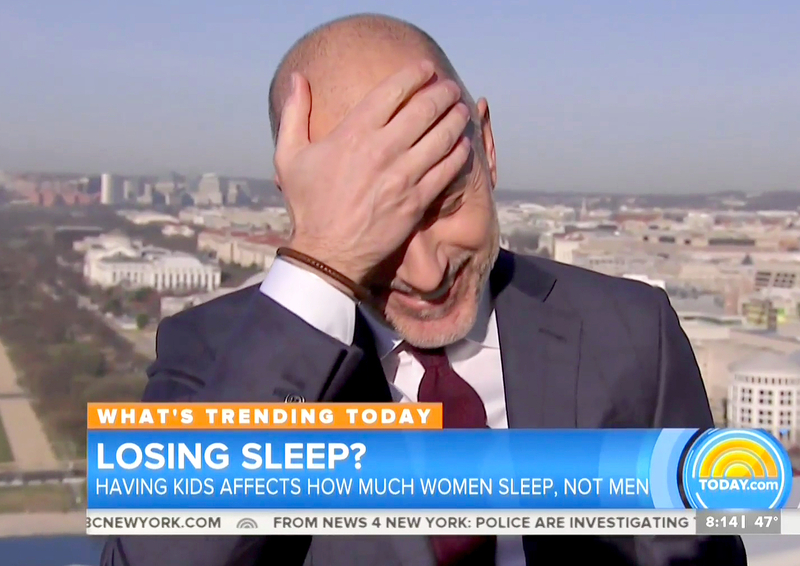 Savannah Guthrie accidentally referred to her husband, Mike Feldman, as Matt (yes, as in Lauer) during the Tuesday, February 28, episode of the Today show. Guthrie, 45 — who made her return to the morning program on Monday, February 27, following a maternity leave for her 2-month-old son, Charles — was telling a story about breast-feeding her newborn while discussing the effects of having children on women’s sleep compared to men’s sleep. Seconds in, she said Matt Lauer’s first name when she really meant to mention her PR consultant hubby, 48. 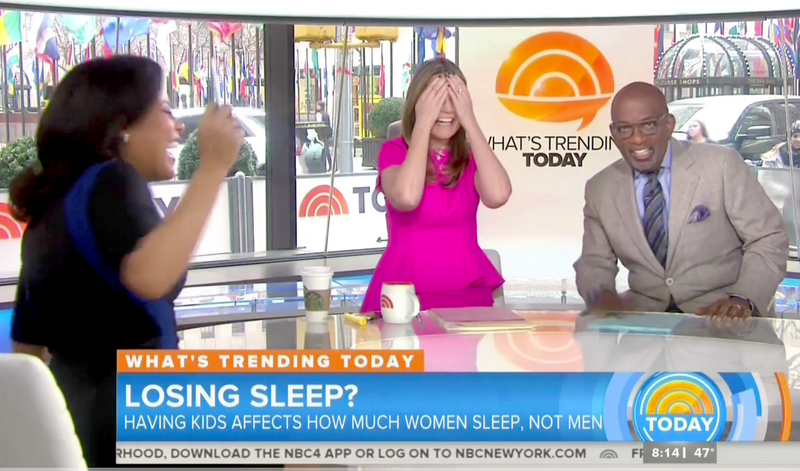 Not surprisingly, the gaffe made cohosts Al Roker and Sheinelle Jones crack up. Watch the funny moment in the video above!